Robert Wilkes' pre-secret ballot federal election campaigns in Toronto Centre. Before the secret ballot was introduced in the mid-1870s, election day could be a raucous affair. Those who had the franchise voted in public, for all their neighbours and employer to see, often having to push through intimidating mobs of partisans mobilized by neighbourhood leaders just to reach the polling station. Although the loose factions of the pre-Confederation era were in the process of hardening into the cohesive, disciplined parties we know today, it was common for election-day passions to flame into mob violence until at least the mid-19th century. And wholly partisan newspapers invoked haughty prose to benefit their chosen candidates, and despicable language to harm their opponents. Each riding voted on different days and, with the official vote count announced hourly, candidates and their operatives used myriad tricks—legal and otherwise—to turn out the vote. Bribery was rampant and barely hidden. Impersonation of absent or deceased constituents was common. 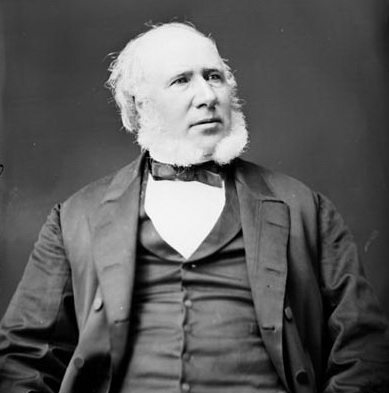 “The struggle…in Centre Toronto was the keenest & bitterest I ever knew,” George Brown, publisher of the Globe, recalled of the 1872 election in Toronto Centre when Robert Wilkes won it for the Reform Party (the forerunner of the Liberal Party). 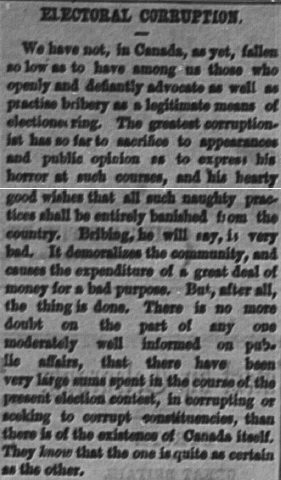 “The amount of bribery & perjury done by our opponents was never approached in any previous contest.” Wilkes’ brief political career between 1872 and 1875 wasn’t particularly noteworthy. But, as Brown attested, the campaigns in which he participated provide insight into the method and style of electioneering on the eve of the introduction of the secret ballot. Born in County Leitrim, Ireland, Robert Wilkes came to Canada as a teenager with his widowed mother and six sisters. He went to work immediately at his uncle’s hardware firm, learning the skills necessary in business. 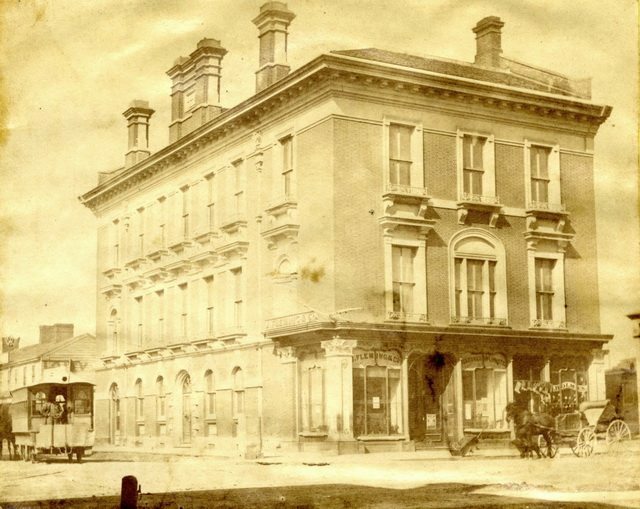 Four years later, in 1852, he joined the Rossin Brothers, the province’s most extensive dealers in gold, silverware, jewelry, and watches in the province, as a clerk. Demonstrating keen business acumen, Wilkes proved a trusted employee. When Marcus and Samuel Rossin, whose ownership of the Rossin House, a luxurious King Street hotel, had caused financial strain, retired from the wholesale jewelry business, Wilkes assumed control of the firm. From its headquarters at 48-50 Yonge Street, the business expanded with branches in Montreal, New York, and western Canada under his guidance. And, with growing affluence, Wilkes diversified his interests to include investments in the Northern Railway, and board positions with banks and insurance companies. Wilkes was a leader of the Methodist New Connexions Church, acting as Sunday school teacher, and as a preacher was known for “impassioned addresses,” as one obituary put it. Eventually, he was also a leading advocate of the union of the branches of Methodism, and treasurer of the Irish Protestant Benevolent Society. Although he’d never taken an active role in politics, Wilkes was, in many ways, an ideal candidate to contest Centre Toronto (as the riding was then known), a new federal riding carved out of the West and East Toronto constituencies, and comprised of St. James Ward and St. John’s Ward. His business credentials—rising from being a clerk “without a shilling of capital” to become “a leading merchant”—held appeal in a riding that included the city’s commercial core. If Wilkes’ nomination as a Reform was uneventful, the efforts of Sir John A. Macdonald’s Liberal-Conservatives were anything but. Their nomination meeting, held by the statue in Queen’s Park on July 20, was invaded by rowdy Reformers who heckled the speakers on the platform. 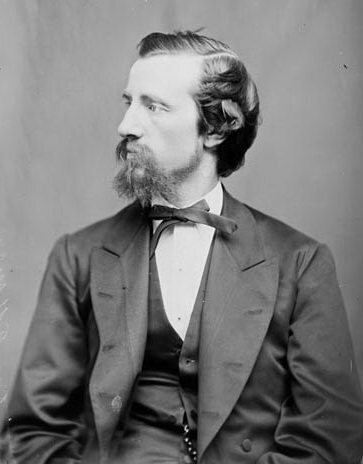 Building up to announcing the party’s nominee, James Beaty, a prominent Conservative and publisher of the Leader newspaper, asserted the necessity of selecting “a man who would be acceptable to the people and who would be competent to represent the” riding in Ottawa. “We have one now,” yelled a voice from the crowd. “Who is that?” Beaty responded, taking the bait. “Mr. Wilkes,” came the sarcastic response, amid equal parts cheers and hisses from the crowd of 200 people. Later, another Reformer tried to climb onto the stage, but was physically pulled down by the crowd. The Conservatives’ chosen man, Frank Shanly, was not even in attendance that night. Shanly and his brother Walter became “the most experienced railway engineers in the country” by working on a number of canal and railway projects in Canada and the United States from the 1840s to 1870. By then, Shanly’s brother became involved in politics as a Conservative, and Shanly continued in sole practice from an office at 54 York Street. “For the next four years Frank Shanly was at the height of his career,” H.V. Nelles writes in the Dictionary of Canadian Biography. “As a railway contractor he had more work than he could handle and he was in constant demand as either a consulting engineer or an arbitrator” for railways across the continent. A native of Ireland, Shanly was, like Wilkes, on the executive of the Irish Protestant Benevolent Society. A few days after the meeting, Beaty led a deputation of 30 or more influential Conservatives to call at Shanly’s office and formally offer him the nomination. Shanly accepted reluctantly, but due to the demands of work, he explained to the party organizers that he couldn’t take a very active role in the campaign, save perhaps a few public speeches. In fact, his biographer Richard White writes, Shanly’s campaign “was little more than a slight diversion” that summer. Nearly a month later, the Globe—which was aligned with the Reform Party—criticized Shanly’s “portentous silence” and absence from the campaign trail. Although the Conservative establishment, Nelles assessed, “were convinced that [Shanly’s] towering reputation and their smooth machine would carry the day,” party organizers grew frustrated with Shanly’s indifference. He wasn’t even planning to attend the large public meeting held on August 13, the deadline by which nominations had to be registered with electoral officials. “It is important that you should be here at nomination,” a party official implored by telegraph. “Sir John will be present [to rally Conservative support]. We can easily carry you through triumphantly if present otherwise may be doubtful.” Shanly raced back, travelling 800 kilometres from Massachusetts in less than 24 hours to assume his place beside Wilkes, Prime Minister Macdonald, and other prominent citizens on a platform erected in a vacant lot on Grenville Street. Wilkes was equally inexperienced in politics, but his performance before the 700 gathered at the open-air meeting, in the Globe‘s assessment, was “in every respect an admirable one, delivered in a modest, manly and most telling manner.” His oratory was likened to that of a Methodist preacher by one disparaging critic. The Globe agreed, but meant it as a compliment. Wilkes also appeared before his share of hostile audiences. Already enjoying the support of many merchants, he tried to overcome the Reform Party’s anti-labour reputation by addressing a meeting of working men, who comprised a large portion of Centre Toronto residents. But as Wilkes talked about repression of labour unions in Britain to demonstrate his sympathy for the plight of workers, the crowd grew restless. “Tell us something about Toronto,” one listener heckled. 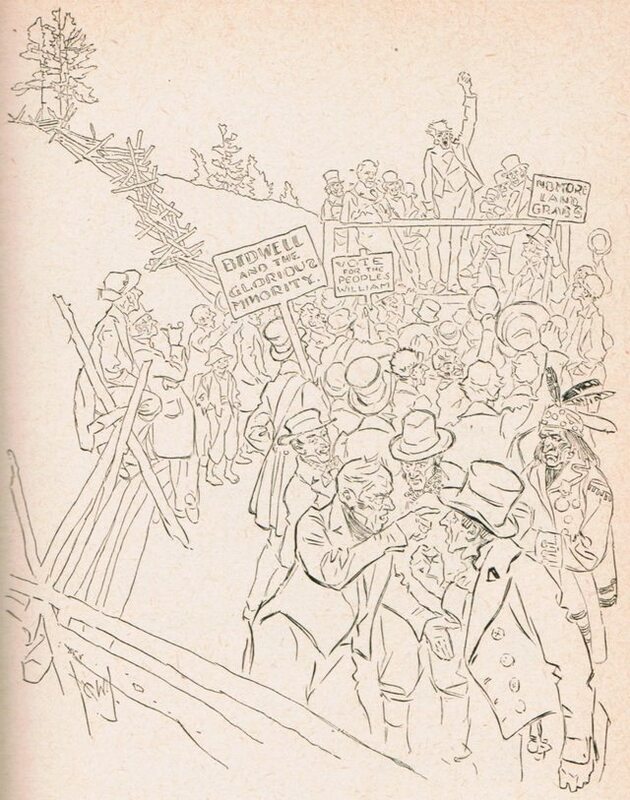 “Tell us about Canada!” The increasingly tumultuous meeting ended with Tories in the crowd moving a resolution denouncing the Reform Party and Wilkes, who had by then made his escape. Mounting carriages, Wilkes and his supporters paraded through the streets, brandishing union jacks and brooms, symbolizing his sweep into office. Purposely charting a route past the offices of the city’s Conservative-oriented newspapers, the Leader and the Mail, the Reform procession was blocked by a Conservative mob near the Leader building. And in the melee, a Tory yanked a broom from the hands of a Wilkes celebrant. When police intervened to arrest the assailant and the crowd responded by throwing a volley of rocks, officers began swinging their clubs to push the crowd back. Further on, near the Mail office, a man on the sidewalk yelled, “Hurrah for Wilkes!” as the procession passed, and promptly received a blow to the head by another onlooker. After victory speeches at City Hall—as a military band played “See, the Conquering Hero Comes”—the celebrations continued into the night with several bonfires lit around the constituency. Speculators, the Globe claimed, had been seen gathering men in groups outside polling stations, then selling their votes ten or more at a time to the highest bidder, a practice the newspaper likened to speculating in livestock. By day’s end, a vote for Shanly was reportedly earning $40 or $50. Meanwhile, Reform scrutineers at polling stations kept busy challenging the identity of any suspicious voters. In that hotly contested election for Centre Toronto—where a total of 2,404 votes were cast—the Conservatives spent $8,800 (approximately $200,000 in today’s dollars). And, despite Wilkes’ desire to maintain “the strictest purity” in his campaign, the Reformers almost certainly spent a similiar sum and employed the same underhanded tactics as their opponents. Although party leaders denied any knowledge in public or to the press, the widespread use of corruption and bribery on election day was an open secret. Indeed, when Wilkes took his seat on the Opposition benches in March 1873 the Conservatives filed a formal petition protesting his election. The complaint was rejected for further consideration by a majority in House, however, as not having been submitted by the deadline. That summer, Sir John A. Macdonald’s government was rocked by the Pacific Scandal, in which the Canadian Pacific Railway Company was discovered to have contributed vast sums to the Conservative Party in order to secure the lucrative contract to build the transcontinental railway. Hounded by the press and opposition members, Macdonald announced the resignation of his ministry on November 5, 1873, allowing the Reform Party to form a new government. After a series of by-elections to test the public mood, the new prime minister, Alexander Mackenzie, triggered a general election for January 1874. Having “shown himself to be a worthy representative of a commercial constituency” in 18 months in the House of Commons, as one supporter said of Wilkes, it was not surprising that he was unanimously endorsed as the Reform candidate for Centre Toronto. One speaker at Wilkes’ well-attended nomination rally at the Agricultural Hall on January 9 characterized the campaign as “a contest between honesty and dishonesty, between corruption and misgovernment,” effectively establishing the fall-out of the Pacific Scandal as the dominant issue of the campaign. 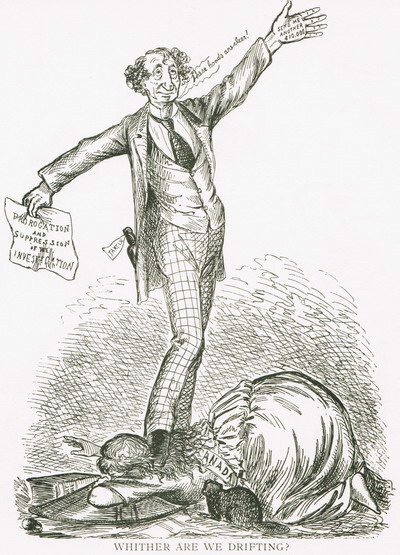 Although he accepted the nomination amid thunderous cheers, Wilkes was already on the defensive in his speech that day, forced to respond to the first of a soon-to-be growing list of accusations. Some Tories had alleged that an act Wilkes had introduced—the Goldsmiths’ Bill, which related to the jewelry trade—benefited him personally and professionally. “There was nothing in the Bill that had not the interest of the country at heart,” Wilkes defended himself, “and it was one which any man might be proud of.” Later in the campaign, he distributed an independent legal opinion attesting that there was nothing exceptional or unusual in the bill. After some difficulty finding a candidate willing to contest Centre Toronto, a riding with such strong Reform support, the Liberal-Conservatives agreed upon Angus Morrison at a rally at St. Lawrence Hall on January 14. Everyone agreed that Morrison “was a social, jolly, good fellow,” as Wilkes once described him. He had parlayed the athletic fame achieved in his youth into a successful career as a lawyer and Toronto alderman. But the Globe skewered his candidature as “the dernier ressort of a discredited party.” In 19 humdrum years in Ottawa, representing North Simcoe and then Niagara, Morrison had been “one of the most subservient followers of Sir John A. Macdonald that ever sat on the floor of Parliament,” in the Globe‘s estimation. His strongest qualification seemed to be that he appeared to be untouched by the Pacific Scandal. “I now emphatically state that the above charge is wholly untrue….I always had their confidence, and parted with them on the best of terms, they having given me credit for a large amount of stock without security,” Wilkes wrote of his long, trustworthy employment by the Rossins in a letter reprinted in the Globe the next day. “During my whole term of service, nothing injuriously affecting my character ever occurred.” This letter was accompanied by a telegraphed testimonial from Samuel Rossin, who’d relocated to New York in 1863. Rossin denied not only any involvement in the publication of the slanderous anonymous letter, but also that any such misconduct had ever taken place. In later statements, Rossin expressed unreserved support for Wilkes’ account of events. The Globe considered the Mail‘s accusation of fraud to be “a frightful stab to inflict on an unoffending man engaged in the honest performance of a public duty.” Nevertheless, the newspaper predicted that a “charge so preposterous” could do no harm to “a man of Mr. Wilkes’ character.” The Globe harshly criticized the Mail and suspected that the prime minister himself was issuing instructions for Patteson to pursue this “policy of concoction and calumny.” Although the Globe protested that no Reform newspaper had ever treated a Conservative merchant in such a fashion, Tories had dubbed it a “filthy scandal monger” for its attacks against a Tory candidate in the West Toronto by-election in December 1873. “The answer which victory would give to [our] opponents would not be merely that they will not be allowed to scatter abroad their slanders with impunity; it would also tell them that the Reform party and Reform principles are in the ascendant,” the Globe paraphrased Wilkes’ speech at the Agricultural Hall, giving a sense of his oratorical flair, “that [Reformers] held the reins of this young country, that [we cling] to the traditional institutions of our mother land, and were prepared to carry out in practice, as [we] had in principle, the most successful form of Government upon the face of the earth.” The meeting ended with those in attendance enthusiastically passing a resolution supporting Wilkes against the slanders. In response, Wilkes issued another denial, explaining that, not long after he’d been hired by the Rossins, he had sold a £9 silver watch to a friend. While no money was missing, his employers, as wholesalers, objected to Wilkes making a retail sale, and disliked the manner in which he had recorded the transaction in the books. But they never questioned his honesty, and entrusted him with increasing responsibilities and, eventually, the continuation of the firm. If the shadow cast by the Pacific Scandal wasn’t enough to doom Morrison’s chances at the polls on January 29, his party’s mud-slinging and smears merely strengthened Wilkes’ image as the candidate of “purity and honesty.” Wilkes was re-elected to Parliament, as the Reformers were returned to power with a strong majority. However, in mid-March, at the first opportunity, the Conservatives petitioned to nullify Wilkes’ election. It was one of many such challenges launched by both parties that spring under the new Controverted Elections Act, 1873. The law, which Reformers like Wilkes had forced Macdonald to adopt after the 1872 election, gave oversight of contested election results to a Superior Court judge in Election Court, rather than to a parliamentary committee. Lawyer James Bethune, who defended Wilkes on his party’s behalf, prosecuted or defended 12 controverted election cases in 1874 alone. The petition against Wilkes was a veritable clause-by-clause recitation of the prohibited behaviours listed in the Act, accusing the candidate or his agents of “bribery,” “treating” voters to food and drink, exerting “undue influence,” “knowingly personating and falsely assuming to vote and procuring persons to vote in the name of certain other persons,” paying for hospitality and entertainment on election day, and hiring teams of horses or carriages to transport voters to the polls. The case was tried at Osgoode Hall on April 6, 1875, near the end of the second session of Parliament. There must’ve been strong evidence against the Reformers because, by way of defense, Bethune produced James E. Leslie, who had driven a team on election day, transporting voters to the polls. On the stand, Leslie admitted to paying small sums to two individuals to secure votes for Wilkes—without the candidate’s knowledge or consent. The infraction was enough to merit voiding Wilkes’ seat, Bethune conceded, but spent the rest of the proceedings fighting vehemently that all other evidence be excluded. “To enter into any other evidence of the like nature,” the Globe paraphrased his argument, “would be alike a waste of time and of money, and could in no way affect Mr. Wilkes in person, in the present or any future election.” But he stood ready, Bethune added, to vigorously defend any personal allegations of impropriety against Wilkes. A by-election, scheduled for late May, would be carried out under the new electoral procedures in the Dominion Elections Act, 1874. Passed in the spring of 1874, the Act required that voting in all electoral districts be carried out on the same day, introduced the secret ballot and a sealed ballot box at each polling station, and lessened the opportunity for intimidation by clearly stipulating a few rules about who was and wasn’t allowed in the polling place. Moreover, if these measures alone didn’t take the hour-by-hour gamesmanship and shenanigans out of election day, the Act also made it punishable by a $200 fine for any elector to reveal his ballot, or for any one to pressure or induce him to do so. All subsequent federal general elections and by-elections began to resemble the process we would recognize today, though some old practices, like impersonation, persisted for some time. By the late 1870s, the difficulty of getting an accurate tally of votes until late into election night resulted in nearly deserted streets—instead of rowdy celebrations and the potential for fisticuffs—prompting some newspapers to complain about the public’s disengagement from politics. In May 1874, Wilkes was ideally positioned for re-election with hearty endorsements from the Globe, the party establishment, and a huge gathering of Reform supporters at Albert Hall on May 8. Wilkes declined the nomination, however, citing the “most exhausting work” of representing his constituents, and the fear that another term in office would impact his health and his business. At the rally, he instead nominated John Macdonald, dry goods wholesaler and former MP for West Toronto, whose acceptance was enthusiastically cheered by the crowd. The Conservatives had a much harder time securing a candidate for Centre Toronto (or “a calf being led to slaughter,” as the Globe gleefully gloated about the stronghold of Reform support). From early April, the Tories had distributed 95 circulars trying to round up a candidate. A number of prominent citizens, including Sir Casimir Gzowski, and aldermen had considered the possibility, but “all respectfully declined the attempt as hopeless,” as the Globe summarized. Many in the Conservative ranks were resigned to allowing Centre Toronto to fall to their opponents by acclamation. However, after all their efforts to unseat Wilkes, another faction desperately wanted a candidate to oppose Macdonald. Led by James Beaty—who’d already declined the nomination himself—the latter group hastily convened a meeting at Albert Hall on May 20, the night before the deadline to register nominations. Those gathered settled on Thomas M. Daly, an Irishman from Stratford who’d suffered business reversals and was eager to prove his usefulness to the Conservative Party. But on nomination day—a much more sedate affair as a result of the recent electoral reforms—neither Daly nor another Conservative with last-minute aspirations could secure the 25 signatures for their name to be included on the ballot. While Macdonald submitted his paperwork and $50 fee to Sheriff Jarvis promptly, the Conservative men struggled vainly among the crowd outside the courthouse to secure signatures until the deadline passed. Without an opponent to face on election day, Macdonald was immediately declared the new representative for Centre Toronto. After his brief foray into active politics, Wilkes returned to his business affairs. He retired by the summer of 1880 when, during a family vacation to Sturgeon Point, Wilkes and a daughter perished in a failed attempt to save his only son from drowning in the late. Sources consulted: Thomas Brady, “Sinners and Publicans: Sir John A. Macdonald’s Trial under the Controverted Elections Act, 1874”, Ontario History Vol. 76 No. 1 (1984); Alexander Fraser, A History of Ontario: Its Resources and Development (1907); William Jenkins, Between Raid and Rebellion: The Irish in Buffalo and Toronto, 1867-1916 (McGill-Queen’s UP, 2013); Greg Kealey, Toronto Workers Respond to Industrial Capitalism, 1867-1892 (UTP, 1980); C.P. Mulvany, Toronto: Past and Present (W.E. Caiger, 1884); C.P. Mulvany and G.M. Adam, History of Toronto and County of York, Ontario (C.B. Robinson, 1885); Dennis Pilon, “Explaining Voting System Reform in Canada, 1874 to 1960,” Journal of Canadian Studies (Fall 2006); Jacob Remes, “Toronto’s Transnational Printers, 1866-1872,” in Leon Fink, ed., Workers Across the Americas (Oxford UP, 2011); James Snell, “The West Toronto By-Election of 1873 and Thomas Moss,” Ontario History Vol. 58 (1966); Elizabeth Toop, “The Sport of Politics: Some Political Campaigns in Earlier Days,” York Pioneer (2008); Gerald Tulchinsky, Taking Root: The Origins of the Canadian Jewish Community (Lester, 1992); Richard White, Gentlemen Engineers: The Working Lives of Frank and Walter Shanly (UTP, 1999); and articles from the the Canadian Methodist Magazine (January 1882); and the Toronto Globe.